Malaysian buyers on the lookout for a well-equipped phablet that doesn't break the bank will find one more option starting this week. The Meizu m1 note is reported to be hitting the local stores at a price of MYR699, which current rates translate to just shy of $190. The price, however, is hardly an indication of the capable innards of the LTE-enabled smartphone. It all starts with a 5.5-inch FullHD display in a price segment where 720p is the norm. An upper midrange Mediatek MT6752 chipset with a 1.7GHz octa-core processor provides computing power and 2GB of RAM promise adequate multitasking abilities. A 13MP main camera sits on the back, behind an f2.2 lens, while a 5MP f2.0 module should deliver good available-light selfies. Power comes from a high-capacity 3,140mAh battery, while keeping the weight manageable at 145g. The smartphone is also reasonably compact for a 5.5-inch device, measuring 75.2 x 150.7 x 8.9mm. 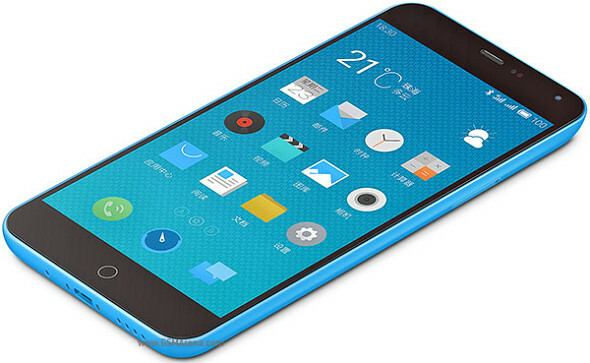 The Meizu m1 note runs a custom FlymeOS 4.0 overlay on top of Android KitKat out of the box, but an Android 5.0 with a newer iteration of the company's skin is likely in the works.